Rick leads work in corporate development and strategic positioning for Gardant communities and our clients. He brings a strategic approach to helping our clients and the communities we manage discover the best path for success. He understands that there is uniqueness to every situation, so individualized rather than cookie-cutter approaches are needed. Rick is a catalyst for making ideas happen and drives projects from inception through execution. 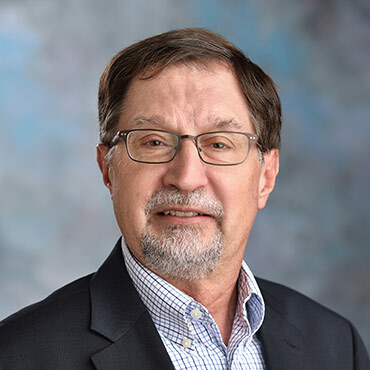 Rick brings more than 40 years of experience in the industry and has worked with senior living, assisted living and memory care communities and with hospitals and health systems throughout the United States. His experience encompasses all aspects of the marketing process, from market research and analysis through product development, pricing, and the development and implementation of strategic marketing and sales plans. Rick has served as a judge for the National Mature Media Awards and been recognized as a WEGO Health Awards Finalist in the “Best in Show: Twitter” category and a Patient Hero Award nominee. He currently is Chair of the Board of NorthPointe Resources, an organization that serves individuals with intellectual and developmental disabilities and individuals with mental illness. He is a Past Board Member and Board Chair of the Palatine Township Senior Citizens Council. A member of the American Marketing Association since 1984, he graduated with a BA degree in Media Studies from the University of Detroit.